Regular readers may recall a blog post from a year ago, when I reported upon my visits to the former Woolies stores at Coopers Square in Burton upon Trent (store #147, above) and Westfield Derby (#1242), both of which had closed down following the retailer’s collapse a year earlier. 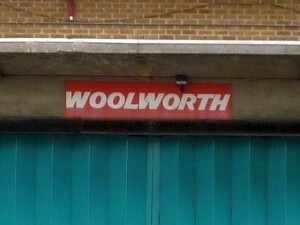 From subsequent research, it became clear that neither of these stores were their respective town’s original Woolworths, so just before Christmas I set out to track down the long-forgotten Woolies sites in Burton and Derby that I’d missed first time around. I’ll write about Derby’s rather complex Woolies history later, but for now let me focus my attention on Burton. 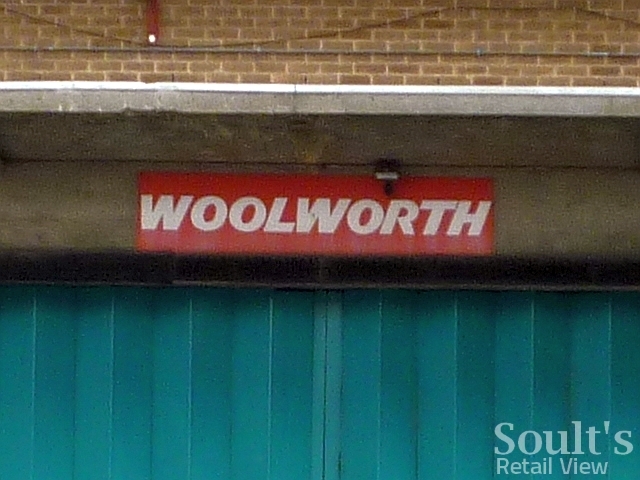 As I noted previously, the Woolworths in Burton’s Coopers Square shopping centre dated from about 1982, taking over the unit that Sainsbury’s had formerly occupied. Before that, however, Woolies had a smaller shop on the town’s High Street, as revealed by Duncan’s great photograph of the closed-down store, apparently from 1993, and reproduced with his permission below. Looking at my photograph of the same view today (above), you can see that the rather unattractive former Woolies property has been completely transformed, though its distinctive shape and the buildings either side are instantly recognisable from the 1993 shot. 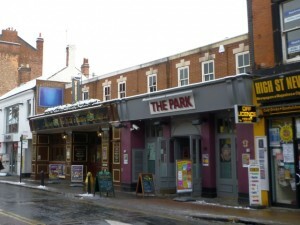 Today, the former Woolies building houses two separate pubs – The Park, and a branch of Wetherspoon’s called The Lord Burton. 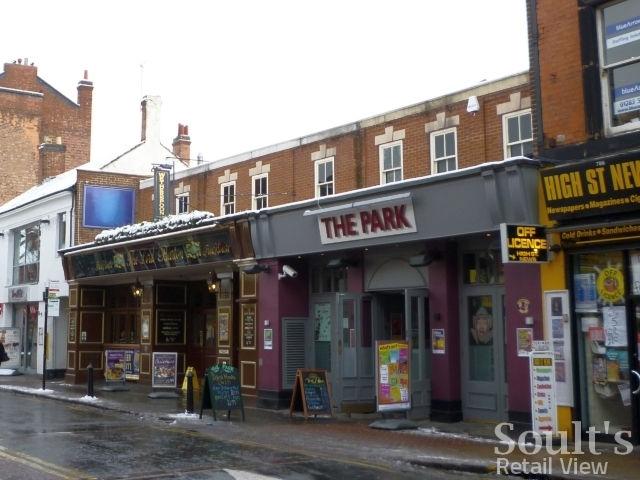 Indeed, this change in uses illustrates the way in which the retail focus of Burton has shifted over the years, leaving this part of the High Street very much as a destination for leisure rather than shopping. 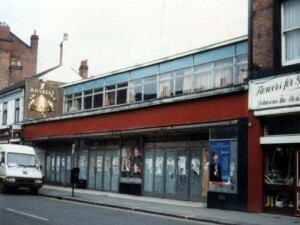 Until the mid 1990s, the site of this Wetherspoon pub was home to a branch of Woolworths. The Burton branch opened in 1923, when Woolworths leased 154 High Street from Pearson’s the tailor. It proved so popular that the firm took over number 155 the following year. The 1923 opening date seems spot on, but I’m not convinced by the supposed mid-1990s closure. As I’ve mentioned before, the transfer of the original Woolworths store number (147) to the Coopers Square branch would only have happened if the old store had closed at the same time as the new one opened, a decade or so before the date suggested by Wetherspoons. This would mean, of course, that Duncan’s photo was taken a whole decade after the store shut, though the building does have the appearance in that shot of having been empty for a long time. I’m sure the answer isn’t far away… perhaps someone out there has memories of Burton’s original Woolworths and can help to pin down when it really did close? I remember catching the bus into Burton with mum in the early 1960s to go shopping day and regularly visited F W Woolworth & Co as it was known in the High St. I remember seeing the counters with the short glass dividers on them to separate the various items. From memory the prices were clipped onto the dividers. There were all sorts of things to buy, I remember mum buying handkerchiefs, Good Companion jigsaws, and later on inflatable plastic toys. I also remember the treat of buying a Deans children’s classics book for 2/6d, but cannot remember whether this was at Woolworths or another shop. We would often go out the back of the store onto the area by the River Trent. I still have two glass hyacinth jars that mum bought at the store during the 1960s for about 6d. I was assistant manager at Fine Fare in high street opposite woolworths in 1974, and my mother Moira Warren ran the cafe at the rear of the store which became known for its huge home made burgers. When the cafe closed she ran the furniture department which occupied the rear of the store including the space where the cafe had been. Later she became the assistant store manager under Ernest (Ernie) Gould but sadly she passed away at the age of 49 in 1982. I have fond memories of when the fine fare store had a relaunch as shoppers paradise and two of the actors from the champions TV series Alexandra Bastedo and American Stuart Damon came to cut the tape, accompanied strangely by The Wombles. The staff of Woolworths including my mother leaned out of the upstairs window of woolies wolf whistling at Stuart Damon. Dave Warren now living near St Ives in Cornwall. in your report you say that the original Woolworth’s store in high street, Burton was smaller than the coopers square branch. That is not true. The high street branch was considerably larger. If you go to the site now, the public houses have beer gardens and yards at the rear. When it was a Woolies, the store ran right back to the walkway at the park at the back. The doors onto that park also led from a snack bar which Woolworth’s operated at the back of the store. About a third of the store was demolished at the back when the two pubs moved in. 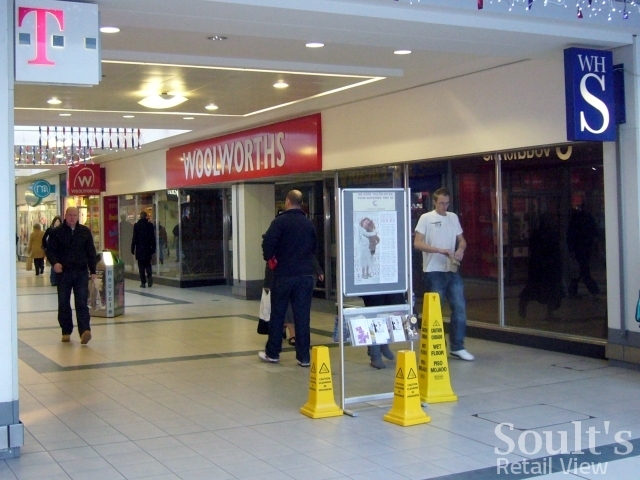 i think that the reason why Woolworth’s moved to a smaller store at coopers square was because the town centre had moved away from where it had been and they needed a more centrally located store, even if that was smaller than their original store. Whilst I’m not old enough to remember the original Woolworth store in Burton it moving a year before I was born. I can Rember the original site being used as a discount warehouse store in the late 80”s. I can remember this well as everytime I visited Burton with my Grandmother we visited the ‘Discount warehouse’ (as my it was always refered to in my family). After that closed in the early 90’s the building was used as some form of indoor market before that closed and was converted in to the two pubs. 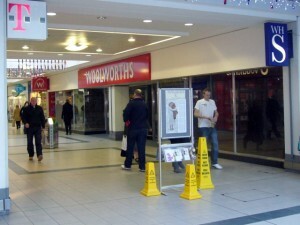 I remember shopping in the Woolworths on Burton High Street. Back in those days (the 70’s), High Street was the hub of Burton’s shopping area with the now derelict Bargates shopping centre with its Liptons supermarket at one end, and the Market Hall at the other end of the street. A few doors along from Woolworths was Timothy Whites,which like Woolies had an exit at the rear of the store leading to the banks of the River Trent, St Modwens Church and the Market Place. On the corner of High Street/Station Street diagonally opposite Woolworths was Marks and Spencers, now located in Coopers Square.